The MD/MS in Clinical and Translational Science Program is designed for students who wish to pursue a medical career with a research focus. During the first two years of the dual degree program, students complete the basic science coursework for the MD degree. In addition, dual degree students take some coursework to meet the requirements for the MS degree. MS degree coursework emphasizes clinical study design, biostatistics, and research methods, and provides students with an opportunity to conduct a mentored research project. Some coursework meets the requirements for both degrees. Students engage in their research projects during the summer between the first and second years of study and subsequent research electives during the third and fourth years of medical school. Upon entering the dual degree program, students have a designated faculty advisor who will provide guidance in the program and assist them in identifying an area of research that is of interest to them. During the first year of the program, students will have the opportunity to explore a wide range of research options and to identify a research mentor with whom they will work. There is a shortage of physicians with the research training required to conduct cutting-edge translational research leading to improved clinical care. Numerous studies have shown that early success in research increases the likelihood of future success, even when the initial success comes in medical school. Lack of research training is one of the major reasons cited for lack of research productivity in residency. The goal of the dual degree MD/MS (Master of Science in Clinical and Translational Science) Program is to integrate the medical training required to become a physician and the research training required to conduct clinical and translational research. The dual degree program, designed to be completed within four years, provides the solid foundation necessary to complete research projects in medical school, continue research during residency and throughout one’s career. Through a rigorous academic program, students begin graduate school in the first year of medical school, learning basic science and introductory clinical principles simultaneously with introductory research skills. To ensure that students will be capable of completing the increased academic challenge, preferential admission will be given to those students who have shown previous success in research and have demonstrated the ability to successfully complete a rigorous undergraduate academic program. 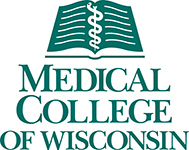 The Medical College of Wisconsin (MCW) is one of the largest medical schools in the United States and one of the fastest growing medical schools in research. We rank in the top third of medical schools for NIH funding. This is an outstanding environment to earn the dual MD/MS degree. This program builds on our successful MD and MS in CTS programs which have been in place for many years. Many of the currently enrolled MS in CTS students are physicians. All medical students at MCW have dedicated curriculum time during the school week to pursue an area of academic interest as part of the scholarly pathways program. 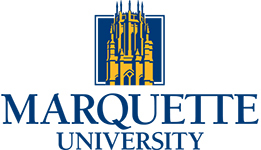 Students enrolled in the dual degree program will use protected time to complete graduate school coursework. Additional effort beyond that protected time will most certainly be required, which is why the program is limited to a small number of dedicated and accomplished applicants. The research project and required thesis will be completed during required summer research experiences and through third and fourth year research electives. An advising program helps students transition to the dual degree program and locate appropriate mentorship and projects in the student’s area of interest. The Medical College is located in a student-friendly suburb of Milwaukee, which gives students the opportunity to live in an environmental setting of their choice (urban or suburban). I encourage you to consider being a part of this exciting program. We welcome your application and hope to see you in Milwaukee. The MD/MS in Clinical and Translational Science Program equips students with skills in research methodology and the opportunity to engage in a carefully designed mentored research project. Students undergo a rigorous training schedule that combines the curricula of the medical school and graduate school. Following is an overview of the program curriculum. Year 1 Fall M1 Seminar 20301, .5 cr. Intro to CTS 20100, 1 cr. Intro to Epidemiology 20150, 3 cr. Year 1 Spring M1 Med CITI - Ethics & Integrity in Science 10222, 1 cr. Seminar 20301, .5 cr. Research Methods in Epidemiology 20256, 3 cr. Year 1 Summer M1 Med Summer Research - Reading & Research 20295, 3 cr. Year 2 Fall M2 Seminar 20301, .5 cr. Biostatistics I 04200, 3cr. Clinical Research Methods Workshop 20255, 1 cr. Clinical Trial Design 20261, 1 cr. Year 2 Spring M2 Seminar 20301, .5 cr. Year 3 Fall M3 Med Research Elective - Master's Thesis 20299, 3 cr. Elective, 3 cr. Year 4 Fall M4 Med Research Elective -Master's Thesis 20299, 3 cr. 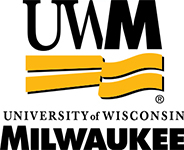 The Medical College of Wisconsin is a major national research center, representing the largest research institution in the Milwaukee metro area and second largest in Wisconsin. Medical College faculty received approximately $175 million in external support for research, teaching, training, and related purposes, of which approximately $161 million was for research in fiscal year 2010–2011. This total includes highly competitive research and training awards from the National Institutes of Health (NIH). In the federal government’s FY 2011, the College received $92 million in NIH funding and ranked 43rd among the nation’s 136 medical schools for NIH research funding. In FY 2011, the Medical College was one of only 20 of the top 50 medical schools (in terms of NIH funding) to receive an increase in base NIH funding. The Medical College of Wisconsin’s research enterprise is focused on interdisciplinary collaboration among scientists and physicians with the goal of rapidly translating discoveries into advances for patient care. 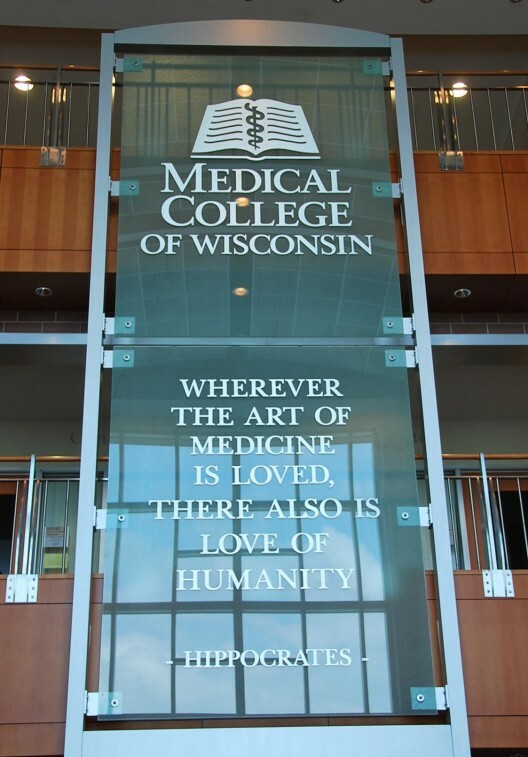 The Medical College of Wisconsin continues to expand its strong interdisciplinary research centers, joining faculty from many areas of specialized expertise to focus on cancer, cardiovascular diseases, neurosciences, infectious diseases and immunology, and community and population health research. Enabling technological platforms include genetics, imaging, stem cell biology and regenerative medicine, proteomics and structural biology, the Clinical and Translational Science Institute, and the Institute for Community and Population Health. Trainees are given the opportunity to select their MD/MS research advisor from a wide array of successful investigators at the Medical College of Wisconsin. Every August, 200 students from around the world begin their medical education at the Medical College of Wisconsin. Under the guidance of the MCW faculty (over 900 MD’s and PhD’s), these students will be trained in the basic sciences and clinical skills of modern medicine. Through the Medical College’s affiliations with Froedtert Hospital, Children’s Hospital of Wisconsin, the Milwaukee County Mental Health Complex, Zablocki VA Medical Center, as well as many other hospitals and institutions throughout Southeastern Wisconsin, students are given the opportunity to learn from a broad patient population in a variety of settings. The Medical College is one of the eight organizations providing patient care on the Milwaukee Regional Medical Center campus. These clinics, hospitals and institutions are staffed by the full-time faculty physicians of the Medical College. The recently completed Translational and Biomedical Research Center and Children’s Research Institute, built as a collaborative effort between the Medical College of Wisconsin and Children’s Hospital of Wisconsin. This building is primarily dedicated to cancer, cardiovascular disease, genetics, and neuroscience research. This new facility provides approximately 200,000 square feet of additional research space and 50,000 square feet of vivarium space for housing mice and rats. The Blood Research Institute, recently expanded by 35,000 square feet to accommodate the organization’s rapidly growing research programs in transfusion medicine, immunobiology, hematopoiesis/cancer biology, thrombosis, hemostasis, and vascular biology. A 5,400 square foot Biophysics EPR/MR Facility which houses two new MRI imaging systems and an EPR spectrometer. The recently completed Sargeant Health Center, which includes an ambulatory surgical facility as well as internal medicine clinics. Children’s Hospital of Wisconsin, which was recently expanded through construction of a 240,000 square foot, eight level office building and a 1,600-space parking structure. Construction of a 12-story, 425,000 square foot expansion of the main hospital facility is now underway, with completion anticipated in spring of 2009. This project will provide expanded bed capacity, additional intensive care units, and specialized clinics. The Froedtert Cancer Center, which provides 280,000 square feet on four floors to support the multidisciplinary delivery of treatment for all types of cancer. The Cancer Center includes clinics, chemotherapy, radiation therapy, clinical research, and support services such as dietary, social services, and an education center. Please view for help in rental options or purchasing a home in the Greater Milwaukee area. The Lodging & Resource Guide was developed to assist you and your family in finding short or long term lodging accommodations while visiting the Milwaukee Regional Medical Center (MRMC). The MD/MS Program welcomes applications from individuals desiring careers as physician-researchers. All applicants must satisfy the requirements for the medical school, which can be found at https://www.mcw.edu/education/medical-school/prospective-students/admissions. Applicants should have strong academic qualifications as well as experiences that demonstrate potential for success as clinician-investigators. The MD/MS Oversight Committee evaluates applicants as whole individuals, considering life experiences as well as academic achievement and previous research experience. To apply to the MD/MS in Clinical & Translational Science (CTS) Program complete the online AMCAS application through the Association of American Medical Colleges at www.aamc.org. The Medical College of Wisconsin must be included in the list of schools to which the application will be sent. The AMCAS completion deadline is November 1. Candidates for the MD/MS Program should select “Combined Medical Degree/Graduate” as the program type on the AMCAS application. Complete the online secondary application for the MD program which will be forwarded by the Admissions Office via email. Three (3) letters of reference are required. Applicants may use the same letters as for their MD application or may submit additional letters. These letters may be written by the same individuals who write your MD admission letters if you so choose, however, please be sure they are written to support your career as a physician-researcher. Letters for the MD/MS program should be uploaded to AMCAS. All secondary materials must be submitted no later than January 31st. Letters of recommendation are required for all applicants. At least two letters from an applicant’s undergraduate institution are required. These letters can be included in a packet of letters compiled by the undergraduate institution or can be two individual letters from undergraduate faculty members (at least one science professor) or can be a pre-health advisory Committee letter. Applicants who are currently enrolled in or have previously completed graduate study must submit an additional letter of recommendation. Three optional letters of recommendation from any source can also be submitted. MD/MS applicants should ensure that letters are written to support their career as a physician-researcher or submit additional letters which do so. Letters for the MD/MS program should be uploaded to AMCAS. All secondary materials must be submitted no later than December 1st. Selected applicants will be invited to visit MCW for interviews with faculty and the MD/MS in CTS Program Oversight Committee members. 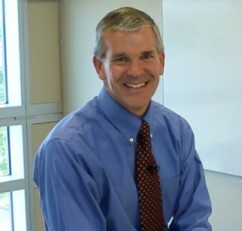 When possible, interviews for the MD Program and the MS in CTS Program will take place during the same visit. Additional information about the MD/MS in CTS Program can be obtained by contacting the Director of Recruitment and Admissions for the Medical School. Applicants accepted for interviews for the dual degree program will be offered an interview for both programs on the same day. A separate interview, with members of the MD/MS oversight committee will be held in the morning, before the start of the medical school interview day.